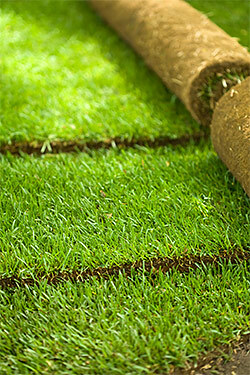 When it comes to lawn installation, California Creations offers two different options- Sod & Seed Lawns. Regardless of which one you choose, we use the highest-quality materials and the latest equipment. We use the best seed which also provides a better quality lawn. When we seed the lawn for you, the best quality of grass will be in your landscaping and you will have lush green surroundings within a couple of months. As you can see, there are some distinct advantages to both, sod and seed lawns and the one you choose will be more of a personal choice. Once you have decided which one suits your requirement and budget the best, our expert lawn installers will ensure that the work is carried out to your satisfaction and you will have a beautiful, lush lawn within no time at all. We are the landscape experts in San Fernando, Santa Clarita, Simi Valley and are able to provide you full-service landscaping services. If you require, we can also provide you with lawn maintenance services. While we are installing the sod or sowing the seed, we will ensure that the irrigation system is up to the mark and that the lawn is going to get the kind of watering it requires. 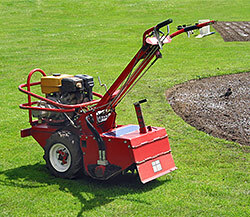 You can contact California Creations on 818-083-1213 for all your Sod & Seed Lawns requirements in and around Sylmar, CA.